Happy Canada Day weekend fellow Canadians! Tomorrow (July 1st) is Canada Day here, and we're celebrating it's 150th Birthday! There are tons of events going on all over. Fireworks, fairs, bands. So many exciting events! I'm not sure what exactly we will be doing, but I'm sure there will be something to do! Also, apparently Tim Hortons is doing a "Canadian" themed menu for their US locations, and they came up with a Poutine donut, and a Maple Bacon Iced Capp. 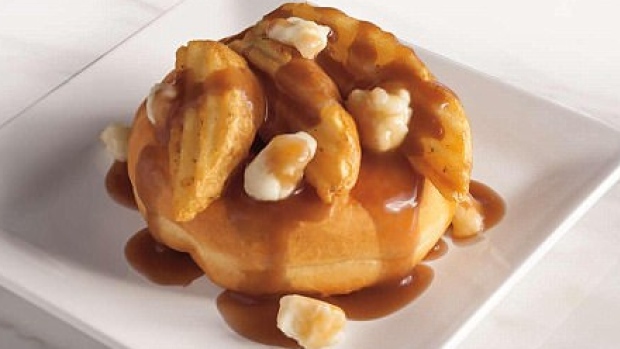 I'm all about Canadian themed products, but a poutine donut? Really? That's what they're going to show Americans what Canadians eat? It just seems silly. We have some Canadian inspired creations at our Tim Hortons locations as well, but they are a lot more tamed. Maple Timbits, a Nanaimo Bar donut. I won't be trying any of them because we're still doing low-carb, so someone enjoy a nanaimo bar donut for me please! I have been obsessed with this nail colour this week. 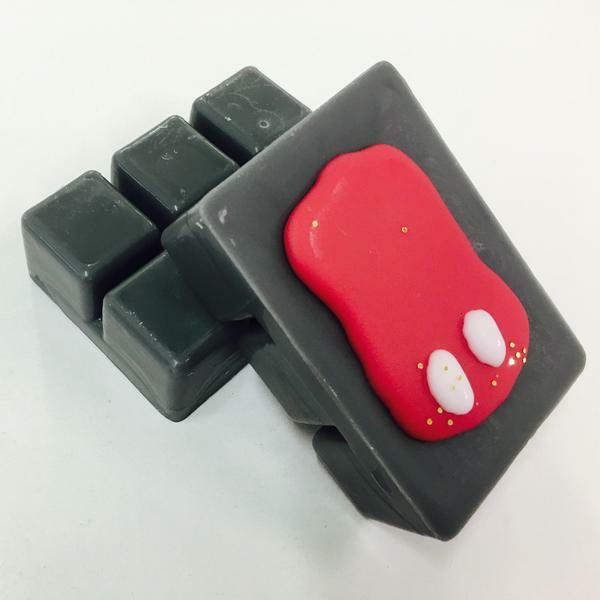 It's Essence - The Gel Polish in 05 Sweet As Candy. It's a very pale pink. The first coat almost looks as if you have nothing on your nails. So this took about 5 coats to get it this opaque. But it's so pretty, and dries really quickly. Also, I applied this on Sunday (June 25th) and I'm still rocking it today, with NO chips! 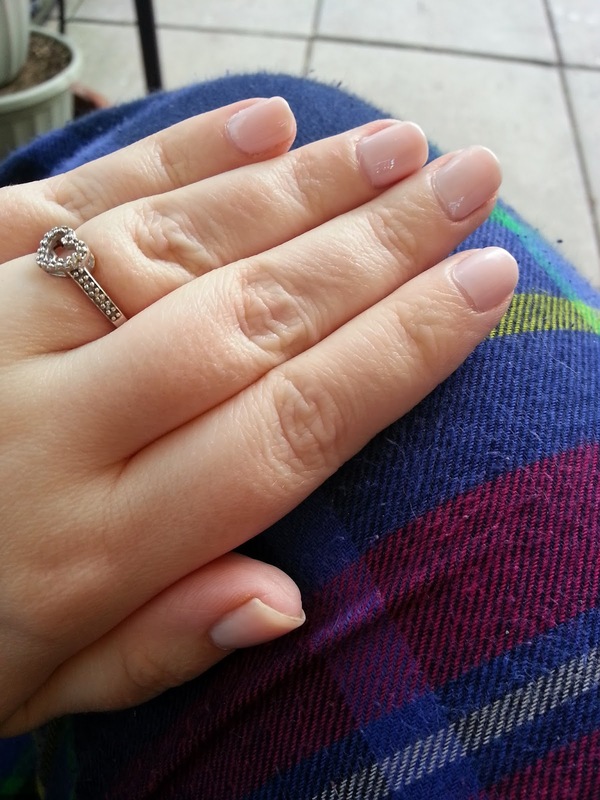 Essence makes a great gel polish, and they are so cheap, only $2.99 each! They sometimes have 30% off sales. I would recommend using their gel base coat, and gel top coat as well. I think that's what makes it last so long. I know you guys are probably sick of seeing me mention Scentsy on here, so I'll make it quick! Today is the absolute last day to order the Bring Back My Bar scents. Once they are gone, they are gone. And I have no clue when/if they will be back. There were a few scents that were voted in this time that have not been back in years! 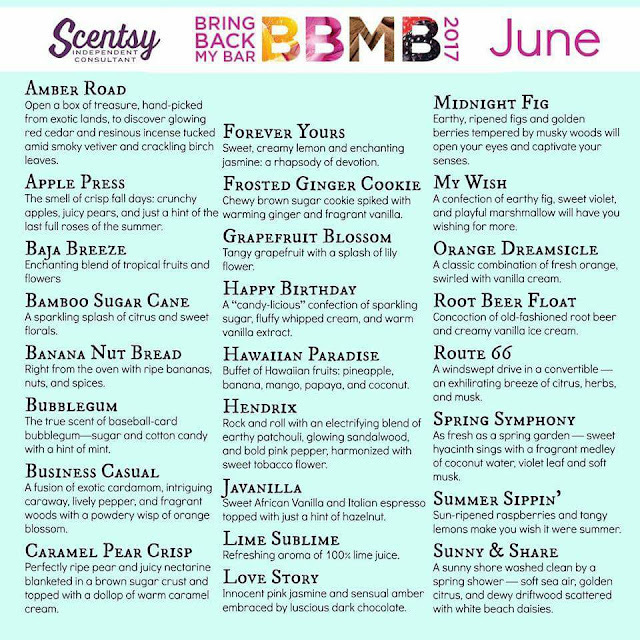 I really loved Banana Nut Bread, Grapefruit Blossom, Happy Birthday, Hawaiian Paradise (I actually ordered 2 of these!) Root Beer Float, and Summer Sippin! My friend who lives in the US sent me some wax tart cubes this week, and they smell SO good. The company they are from is called Super Tarts, and it's just a small home based business, but the owner creates these amazing scents. They are kind of pricey to send them to Canada ($25 USD just on shipping alone) so my friend ordered some, and we split them so it was a little cheaper. It cost a lot less to send half of them to me through her, and then our wax stashes don't look as crazy big, haha. This collection is all based off of one scent called Mouse Ears. I've never smelled it before, but based on it's description, I knew I've love it. On cold smell, I'm really loving the blends with grape soda, strawberry, orange creamsicle, and apple. They all smelled amazing in the envelope. I'm warming 2 Chips right now (with fresh mint)... the mint isn't noticeable at all, but the lemonade and lollipop scent is fizzy, and perfect. Love it! I'm kind of debating of taking up some college courses. I've been having terrible luck trying to find a job. I want to stay away from retail because I just don't want to work those hours. I've worked retail hours for probably close to 10 years of my life, and after having an office job, I just don't want to go back to 9pm (or 11pm in some places) to finish at night, and then work all day Saturday and Sunday. I'm thinking of either going back and finishing HR studies (I completed my Business Admin and received a diploma) I have a certificate for HR management. Or I'm thinking of completing some sort of Medical Office Admin/Terminology. I see a lot of those types of jobs posted online and I can't apply because I don't have the required courses. I'm not sure what to do, I'm torn. Any tarot readers on my blog? I'd love a reading. I need some clarity, or guidance. Anyway, I hope you all have a great weekend. Enjoy the long weekend Canadians, and I hope the American readers have a great 4th of July as well! Those candle scents sound fantastic. Happy Friday!